Chiropractic care is a natural and holistic approach to health care. Chiropractors do not use drugs or surgery and find healing in non-invasive ways. Because of that, visiting a chiropractor is very safe. Chiropractors are entry level physicians and seeing one does not require a referral from a medical doctor. 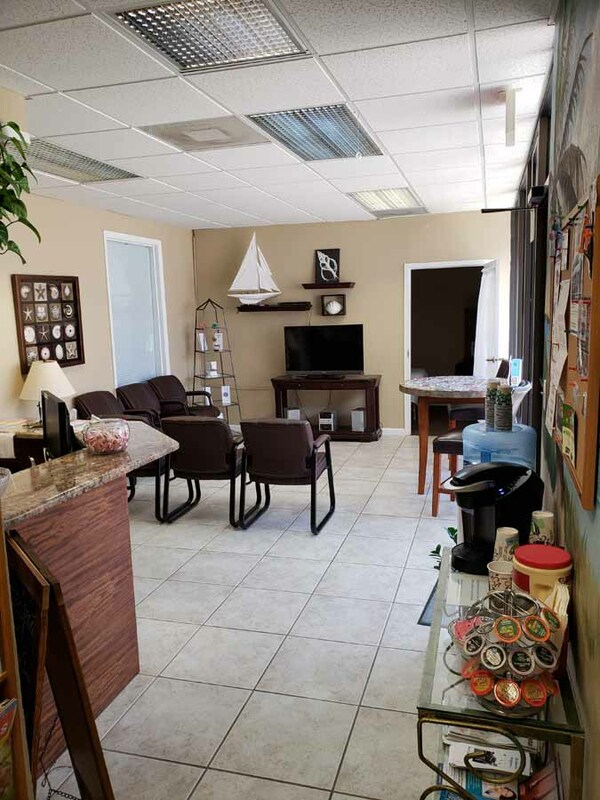 Treatment in our office begins with a thorough examination and x-rays if needed to determine if your condition would benefit from our services, or if a referral to a medical doctor is necessary. Our office has a digital x-ray machine and a bone density scanner on site to help us diagnose many different conditions including arthritis, degenerative disc disease, stenosis, scoliosis, osteoporosis, as well as pinched nerves and postural misalignments. Chiropractors can address all musculoskeletal conditions such as tendonitis, bursitis, sprains and strains, and chiropractic care specializes in the treatment of back and neck dysfunction. Muscle and postural imbalances can put stress on the joints and nerves in your back that cause irritating pain. When these dysfunctions are not addressed, many back and neck pain suffers can have an episode linger for months or years. It is the goal of our office to relieve pain and improve posture, range of motion, and the strength of our patients so they can return to their normal activities. We accomplish this primarily with chiropractic adjustments. The purpose of an adjustment is to restore joint mobility and increase range of motion by manually applying a controlled force into a misaligned joint. In addition to performing this technique, we focus on eliminating pain by utilizing passive modalities such as Class IV Deep Laser Therapy, muscle stimulation, and ultrasound to help relax muscles and decrease spasms. Back N’ Balance Chiropractic and Wellness Center wants to provide your entire family with a healthy spine so you can enjoy the many benefits of life. Our office has the latest, state-of-the-art, digital x-ray equipment to aid in diagnosis prior to beginning chiropractic care. 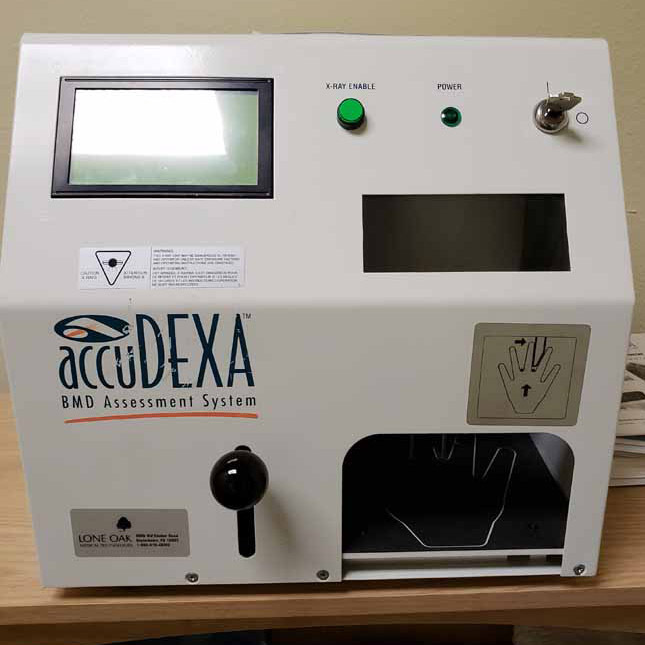 We also have a peripheral Dexa Scanner which can check for osteoporosis or weak bones. In our older patients, we often check for bone density prior to performing any manual manipulation for safety. While chiropractic care is very safe, many patients are hesitant to see one out of fear. Sometimes the fear is that they will get worse, or that the chiropractor will be too rough. Some people don’t want to get “cracked.” Our office can accommodate all those concerns. So, if you have been delaying seeing a chiropractor because of fears of the unknown, please call our office and schedule a free consultation. Dr. Ross or Dr. Molly would be happy to talk to you about any concerns you may have and to see if there is a solution at our office. Whether you suffer from chronic pain, have been in a motor vehicle accident, or just feel like your back needs some work, the team at Back N’ Balance is ready to help. Call us today to schedule your initial evaluation at 727-733-6501. Acupuncture is used in our office to promote homeostasis and balance in your body. Acupuncture isn’t used to cure any particular condition or ailment; it instead works by activating the body’s self-healing ability. This is why acupuncture can address so many different types of conditions. When you get acupuncture treatment for neck pain, your neck will feel better, but you may also see improvements in other areas. The headaches you’ve had for years may decrease, you might notice more energy, or you may sleep better. Many people use acupuncture regularly to maintain good health. At Back N’ Balance you can get affordable maintenance acupuncture or come in for 3-6 visits to help treat a particular issue. Call us today for your initial evaluation and treatment – 727-733-6501. Massage therapy is the most effective for releasing muscle tension, relieving stress, and stimulating blood circulation to problem areas. Massage can help to diminish pain and promote increased range of motion as well as restore muscle tone. Don’t miss an opportunity to enhance your health and performance, schedule your appointment today by calling 727-733-6501. Department of Transportation (DOT) physical exams are required every two years for anyone wanting to maintain or apply for their Commercial Driver’s License (CDL). A DOT physical is used to determine if the applicant is suitable to drive safely, now and into the near future. This includes a thorough examination of all systems of the body. Dr. Ross Batiste is registered with the National Registry of Certified Medical Examiners and licensed to perform this exam. Saturday appointments are available for your convenience, and our exams are the LOWEST PRICE for DOT Physicals in Pinellas County at only $85. Call (727)733-6501 to schedule an appointment today. At Back N’ Balance, we believe that given the proper nutrition, your body has the amazing capability of keeping itself healthy. We also believe that nutrition should be individualized to meet each patient’s needs. We hear it regularly, Americans don’t get the recommended nutrients from their diet. Proper supplements ensure patients get what they need. In our office, we use muscle testing, or kineisology, to test the body’s systems in order to determine the underlying causes of ill health or weakened systems. Once we determine what body systems are weak, we use nutritional supplements to help the body heal itself. That, along with creating proper nerve supply through chiropractic adjustments allows the body to function at its optimum potential. If you’ve been wanting to improve your eating habits, understand your body better, feel confident in choosing and preparing better food for you and loved ones, make self-care a priority, and/or experience an increase in overall health and happiness in your life, then you need our nutritional counseling services. Our office carries Standard Process, Metagenics, and Dee Cee Lab supplements. Imagine what your life would be like if you had clear thinking and energy every day! Schedule a consultation to discuss your unique situation in depth and receive guidance on how to reach your personal goals. One conversation could change your life – call 727-733-6501 to set an initial appointment.